First-quarter Moon, taken on 5th Jan. 2017 by Harry Tate of Banbury. 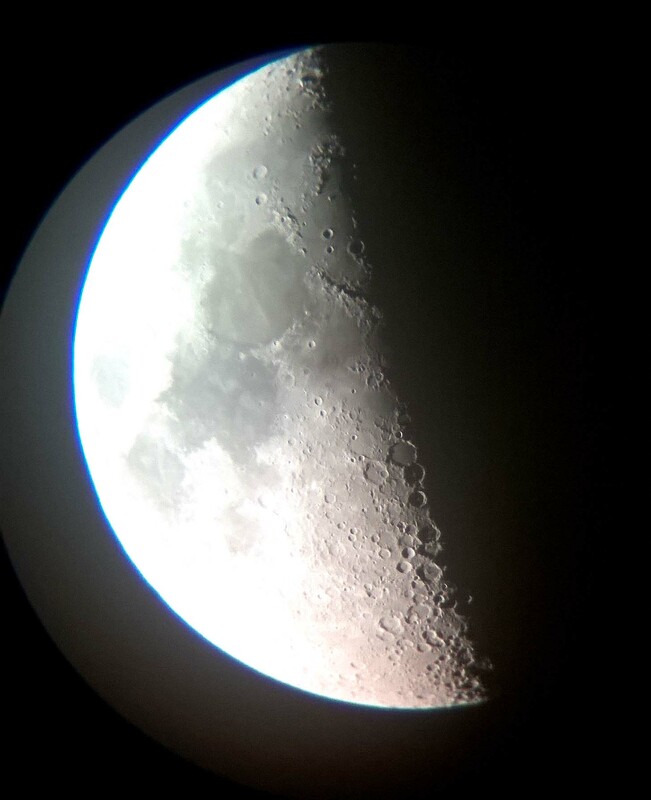 Harry had only begun observing the Moon two nights before, and took this excellent photo (a single shot) using the simplest possible equipment, a mobile-phone camera pointed through the eyepiece of a 60 mm. refractor. The picture captures beautifully just how much can be seen in a very small telescope.